The 2014 Concours of Elegance tookplace from September 5-8, and the event saw an impressive range of historical and current Bentley vehicles on display. Amongst these cars was the 1954 R-Type Continental Drophead Coupé, which inspired author Ian Fleming to give the car to his creation - James Bond - in the 1961 novel 'Thunderball'. The Continental model began life as a Mulliner Fastback. Mulliner was approached in order to convert the vehicle to the Drophead Coupé model, but during the 1950s the cost of conversion was too high to justify progress. Further work was undertaken by French coachbuilder Henri Chapron, who deviated from the original conversion plan. The vehicle was finalised in 2005 by its then-current owner, who was able to convert the vehicle to its current form. The car was described in Thunderball as being a car which James Bond "loved more than all the women present in his life". Bentley provided sponsorship for the 2014 Concours event, with the Sunday festivities declared 'Bentley Sunday'. Bentley brought four other vehicles to the Concours, ranging from a model produced in 1925 to a 1953 Mulliner Park Ward Saloon. Sunday saw other classic Bentley vehicles on display, including a 1931 Bentley Park Ward saloon and the Speed Six racer known as 'Old No.1', which famously won Le Mans twice. 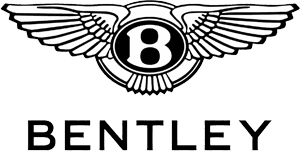 Charles Hurst Bentley is located in Belfast, offering you competitive prices on new and pre-owned Bentley vehicles. Contact us for more information, or to arrange a test drive in any of our Bentley vehicles. We will bring you the latest news on Bentley's events and celebrations, so check back with us often.